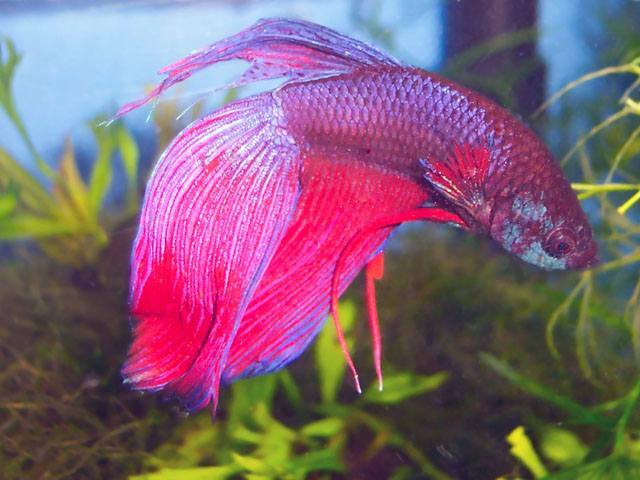 Bright iridescent colors and flaring fins make the Siamese fighting fish an instant favorite with most hobbyists. Male bettas just flat out look great. 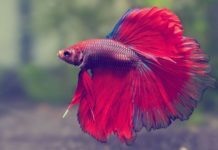 Below we made a list of some facts about Bettas for people who are interested in learn more about this popular fish. #1 Everyone Likes Male Bettas. Most of us keep fish because we like the way they look. Healthy male bettas always look better than most other fishes. They belong in nearly every tank. #2 Females Are Less Attractive. Female bettas are not as striking as the males. They have shorter fins and duller colors. 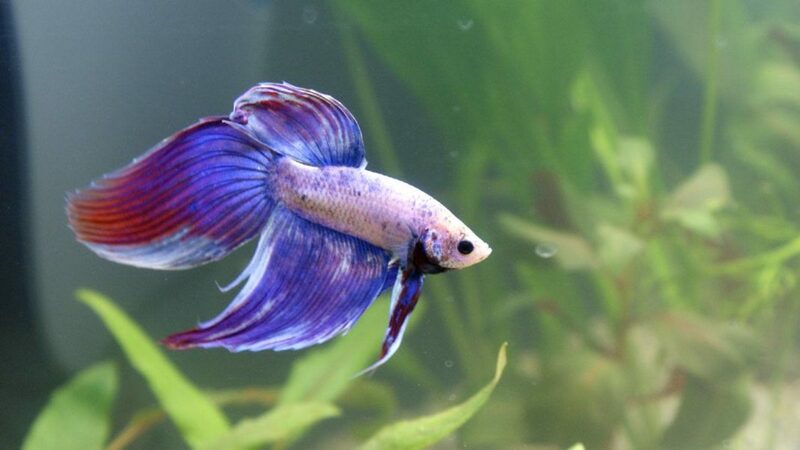 Some look pretty good but few are kept by people not planning to breed their bettas. #3 Most Bettas Live around Two Years. Bettas live two years on the average. Although, occasionally we hear people say they’ve kept theirs alive twice that long. Betta keepers that exercise their bettas keep them alive longer. #4 Poor food poses the biggest threat to your betta. Very few will eat regular flake foods. It may take them as long as six to eight weeks to die, but many will starve rather than eat flake foods. They will not eat plant roots either — regardless of what those stupid brochures say. #6 Meaner, toothier, and faster fish pose a real threat to bettas. 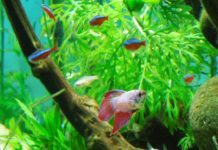 Bettas fight with each other but cannot stand up to most cichlids, tiger barbs, some “sharks,” headstander-type characins, or piranhas. #7 Dirty water also threatens your betta’s health. They can live in polluted water because they can also breathe atmospheric oxygen. But the polluted water will eventually kill them. It makes them susceptible to velvet. #8 Of course, bettas fight with each other. Few will kill each other, but it’s best to keep them separate from one another. #9 Exercise your bettas regularly. Hold up another betta to make them show off or use a mirror. Daily exercise will help keep them healthier and prettier as well as help them live longer. Betta pros put cards between their betta jars. When they take out the cards, the bettas flare. Moving their jars around also works, but takes more time. #10 Feed your betta a variety of foods. We’ve never found a single food that will meet all the nutritional needs of bettas. As far as that goes, How would we know all the nutritional needs of bettas? #11 Feed them lightly. Feed your bettas sparingly. Bettas eat surprisingly small quantities. Overfeeding causes more problems with fish than any other factor. Bettas burn up little energy compared to most fishes. For instance, a zebra danio needs about 10 times more food because it never stops swimming. Bettas stop swimming all the time. They swim even less in small containers. #12 Read a book. The more you read about bettas, the better you’ll like them. Then use your judgement before accepting some of the info you stumble across – like bettas eating the roots of spathophyllums. #13 Lots of Colors. Bettas come in an incredible range of colors. To get some idea of the veritable rainbow of colors, attend a show hosted by the International Betta Congress. These people have carried betta keeping to the extremes – actually, beyond the extremes. The IBC awards trophies for colors you may never see anywhere else. #14 Lots of Fin Types. Double-tails, comb tails, crown tails, round tails, half moons, etc. You get plenty of fin types to choose from. Most people prefer the standard bettas. #15 Add a Betta. Best of all, most bettas get along great in a community aquarium. Of course, they eat fish small enough to swallow. As do most fishes. #16 What are Roundtails? In many parts of Southeast Asia (and Des Moines), the bets get pretty serious on the outcomes of betta fights. 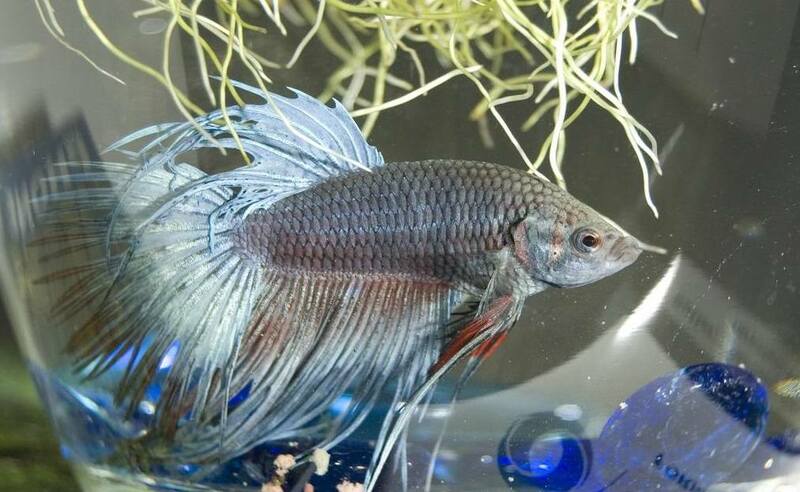 The main betta type wagered on is the “roundtail” – a heavier built, short-finned betta. Most tropical fish keepers prefer the prettier, longer finned (and also less expensive) “normal” bettas. #17 What are Double Tails? If you dig around enough, you can also find a heavier bodied “double tailed betta”. This thick-bodied variety carries twice as many rays in its top and bottom fins and has two tails. 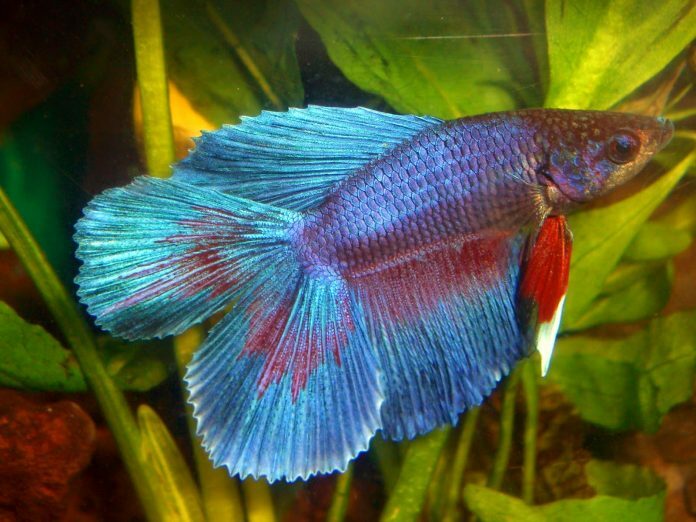 You can find several other betta types if you check around – including comb tails, crown tails, butterflies, half moons the list goes on and on. #18 Water Temperature. Since bettas come from Southeast Asia, they hate our winters. They need a minimum of 75º F. They prefer 80º F. If you intend to breed them, provide the 80º F.
#19 Anabantids. Warm water contains less O². Many fishes that live in extremely warm waters possess a “labyrinth” or auxiliary breathing organ. Our native dogfishes, for instance, can live in shallow, extremely warm, muddy water for a similar reason. #20 Clean Water. The bettas’ labyrinths enable them to breathe atmospheric oxygen. They prefer clean water but will endure bad water for brief periods. Dirty water encourages a nasty disease called velvet. Change their water often. #21 Velvet Diagnosis. Each scale appears trimmed in the tiniest gold, talcum-powder-sized flecks. Sick bettas clamp their fins and drop to the bottom. Velvet-infected fish cease swimming and look obviously sick. Baby bettas frequently die of velvet or starvation (or both). #22 Preferred Foods. If you can find them, bettas love mosquito larvae. Bloodworms (freeze-dried or frozen) are a close approximation to the skeeters they eat in nature. They also love house flies, tiny earthworms, frozen brine shrimp, and California blackworms (especially live ones). They also eat the freeze-dried versions of these critters and beef heart. They love white worms and always eat way too many of these tasty morsels. #23 Small Containers. Bettas need little room because they breathe air. Unfortunately, most small containers pose heating problems. You can find “betta barracks“ that attach to the inside of your community tank with suction cups. These house up to four bettas. Small 21/2 gallon tanks divide into three separate compartments and will accept small heaters and filters. Metal-framed seven-compartment “betta tanks“ used to be quite common. You rarely see these anymore – except in garage sales. #24 Lotsa Bettas. Glass drum-shaped bowls make great betta containers. They’re easier to get your hands into when cleaning. However, you can often find free jars – the bigger the better. Store extra water in a large plastic trash can to age it. Avoid netting the bettas when cleaning. Even the softest nets encourage fungal growth on their tender skin. #25 Quickie Shelves. You can easily and quickly knock together a series of 1×4 shelves to hold your bettas. Tape a sheet of clear plastic over the front and back of the shelves and heat your betta biotope with a 60-watt light bulb on the bottom shelf. Use a larger bulb and/or more bulbs to increase the temperature to between 75o and 80o. (This is more of a Pet Shop, temporary thing, and you shouldn’t house Bettas in containers that are too small. ).